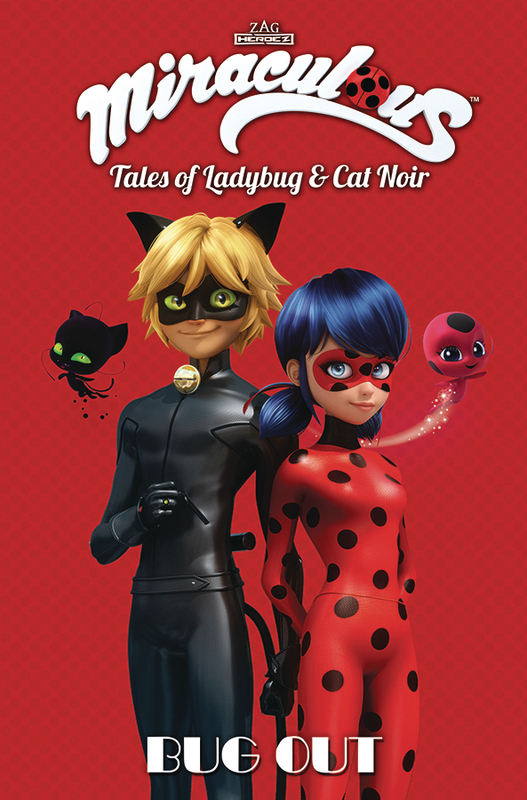 The season one finale of Zag Entertainment’s hit television series MIRACULOUS: TALES OF LADYBUG & CAT NOIR is included in this comic book adaptation! Whether you’re a newcomer to this miraculous universe or if you’ve collected all of the previous volumes, you’ll be able to follow along on the adventures of the greatest superheroes in all of Paris. Marinette, the sweetest girl in Paris, becomes the heroic Ladybug. Alongside Cat Noir, who is secretly her crush Adrien, the two heroes face off against people who have been turned into villains by their ultimate enemy, Hawk Moth! The story has plenty of important messages and empowering characters that people can relate to. This volume features four more victims turned villains. 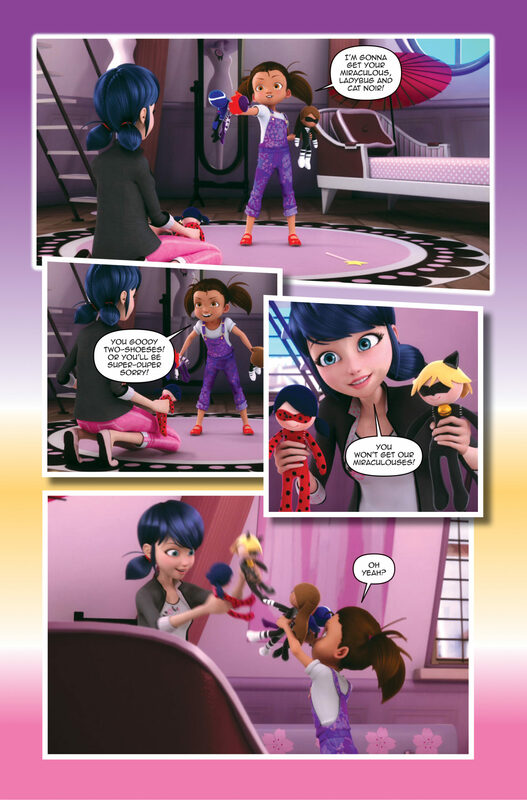 First, Manon, the young girl Marinette is babysitting, turns into Puppeteer. She uses dolls to control former villains Evilustrator, Lady Wifi and Rogercop, and attempts to take control of Ladybug and Cat Noir as well! Then Marinette’s classmates (and bullies) Chloe and Sabrina get turned into villains. Even worse, Chloe gets all of Ladybug’s powers when she becomes Antibug! Finally, a new girl who spins a web of lies to lure in Adrien becomes the fox hero Volpina… but is this hero actually a villain in disguise?! Read three more episodes from the immensely popular show with MIRACULOUS TALES OF LADYBUG AND CAT NOIR VOLUME 7 DE-EVILIZE, which will be in a comic book store near you on May 30, 2018. Preorder the book with the Diamond item code MAR181027.